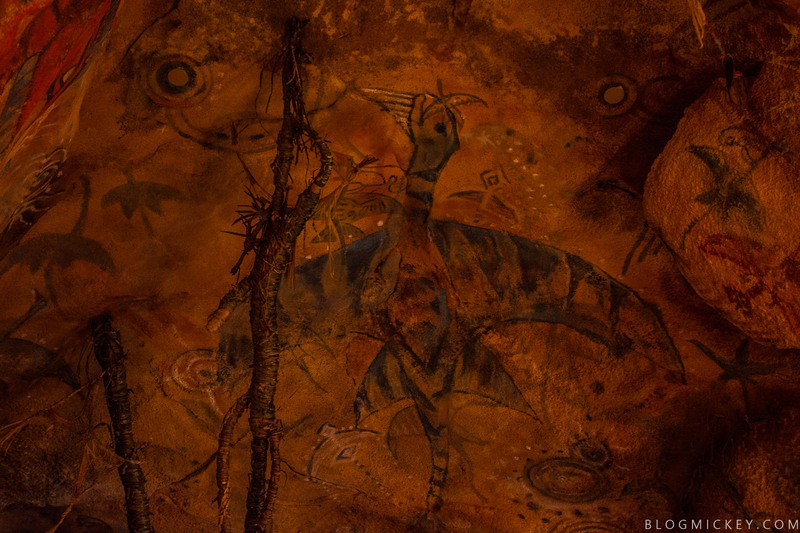 Flight of Passage is all you’re going to hear about this summer once Pandora – The World of Avatar opens on May 27th. With a queue capable of holding 6 hours worth of guests, Disney is expecting the new E-ticket ride in Animal Kingdom to be a hit. We’ve been able to ride it twice now and want to give a detailed account of our experience. So much of what Disney has done with recent attractions has relied on the queue itself to provide a “scene one” or introduction to the actual ride experience. 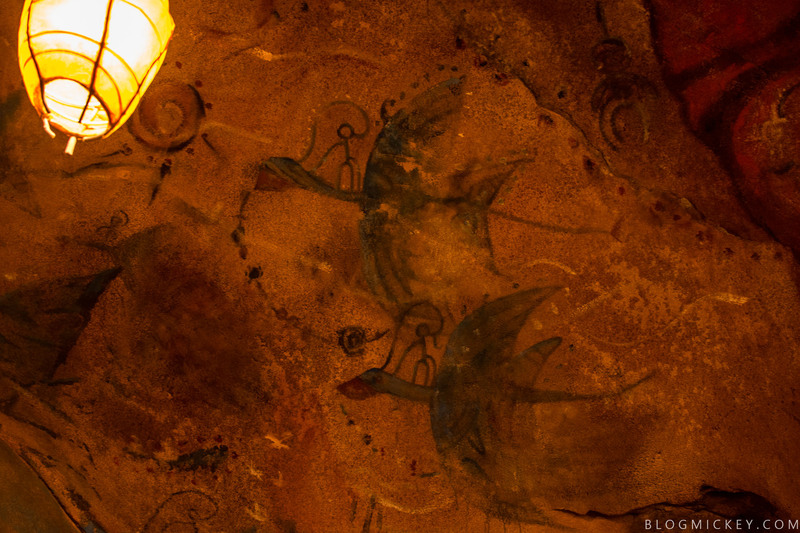 Flight of Passage has the most detailed queue at Walt Disney World and builds upon layers of story in an effort to provide the guest with an experience from the moment they decide they want to ride. The general story here is that the Resources Development Administration, or RDA, has had bad mining practices for years on the moon of Pandora and that the ecosystem has been thrown into a disharmony as a result of it. The Pandora Conservation Initiative (PCI) has stepped in to try and undo the years of damage that have been done. The scientists at the PCI have been studying the keystone species of Pandora, the mountain banshee, to learn about what they can do to impact the environment positively. The mountain banshee is an impossible species for a human to study due to its position as an apex predator, so the PCI is tasked with refining and perfecting the Avatar program to get a closer look at the species. The Avatar program allows humans to psionically link to an Avatar body and control it as if it were their own. This process is accomplished by a link chair, but more on that in a bit. 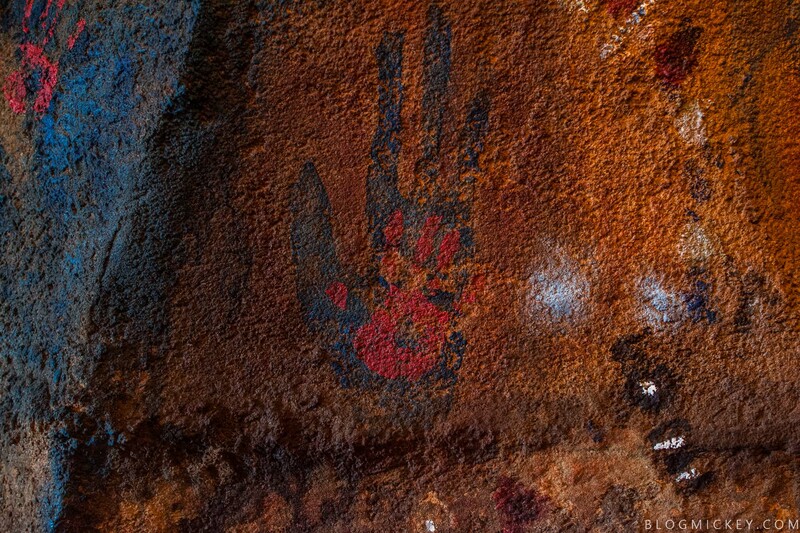 As we progress through the queue, we see ancient cave paintings from the Na’vi that pay tribute to the generations that have taken the rite of passage by taming and connecting with a mountain banshee. 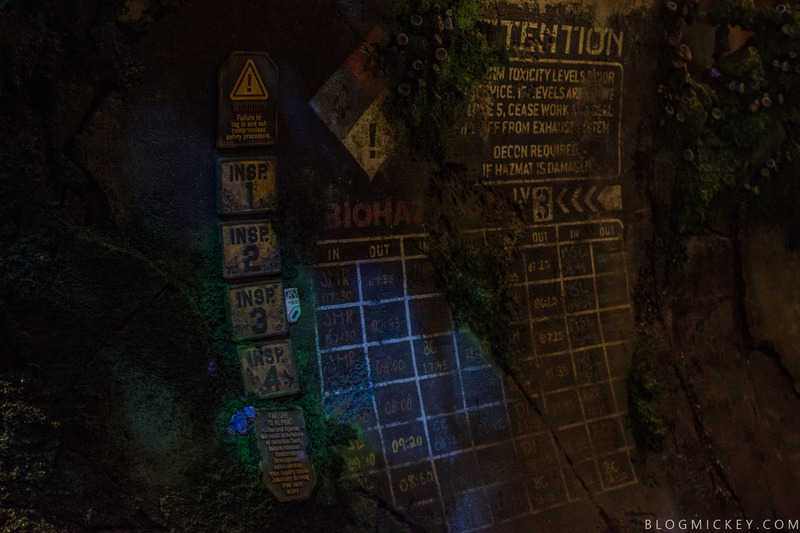 As we make our way through the cave system, we enter what was an old RDA mining facility that has been reclaimed by nature. We can hear the chirps and calls of the young mountain banshees all around us as we progress through this detailed queue. Bioluminescent plants surround us as we make our way closer to the scientific hub of the work that the PCI is doing as a part of the Mountain Banshee Project. Making our way through the scientific labs and deeper into the re-purposed RDA facilities, we’re just about ready to take our own Flight of Passage on a mountain banshee as a part of the outreach that the PCI is doing to educate tourists. 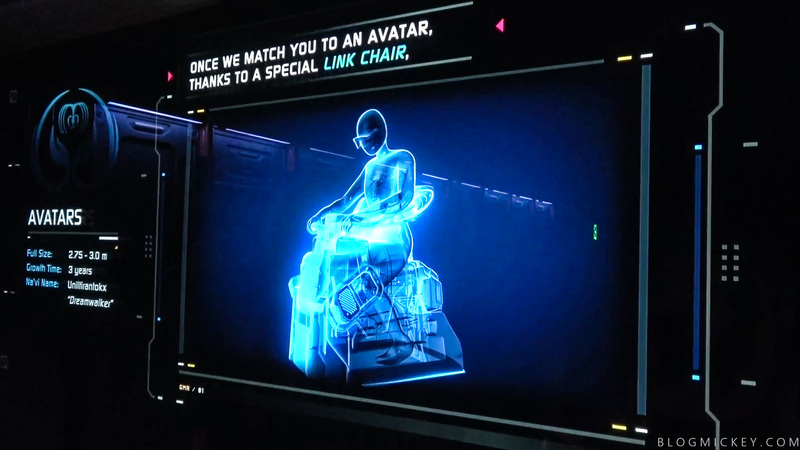 It’s now time to be briefed on our upcoming ride experience and make our way into the chambers where we will board our link chairs and connect with our Avatar. Here’s a more in-depth look at the pre-show process. The link chairs are best described as something similar to a stationary motorcycle that you might find in a simulator game. That said, you’ll quickly realize it’s a much more advanced ride vehicle than that. To secure you, there are three restraints. A restraint will rise from behind you and sit across your back, while two more restraints will sit on the back of your calves. Once everyone is secured in their link chairs, it’s time to make the link to the Avatar. There is no video recording allowed in the link chamber, or of the ride itself, so I’ll do my best to describe the experience. A small panel on the front of your link chair shows your connection status with your Avatar. 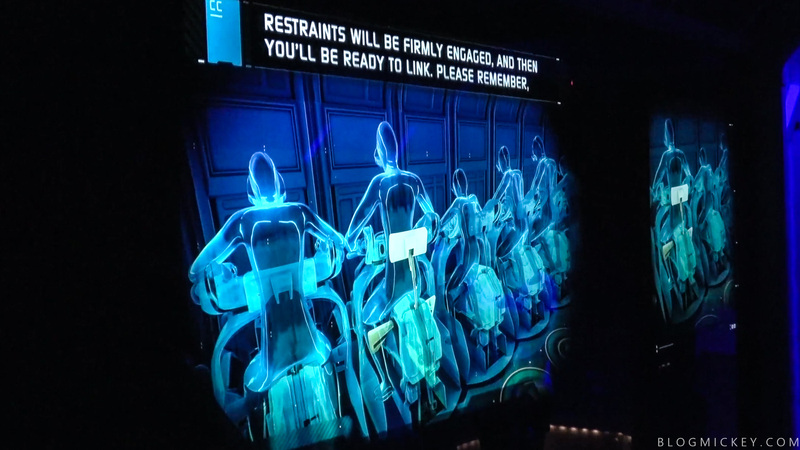 Once the ride begins, you’re quickly shown that you are 100% connected before the wall in front of you lifts out of the way and you’re sitting in front of a giant screen. 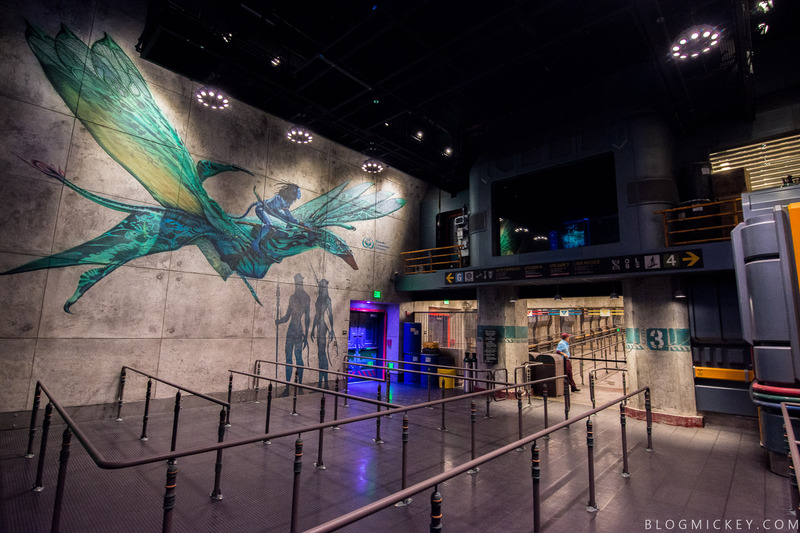 While the concept is very similar to Soarin, the execution is on a completely different level. The screen envelops your entire field of view which allows for an immersive and convincing experience. The neural connection is accomplished via an effect similar to a jump to lightspeed in Star Tours. Actually, Star Tours is probably the closest ride we have at Walt Disney World to describe some of the motions you’ll experience on Flight of Passage. Once connected to your Avatar, you’ll notice that your link chair will start moving and breathing with the banshee. The effect of flying is so convincing that I found myself leaning into banks and leaning forward when we would dive off of a cliff. 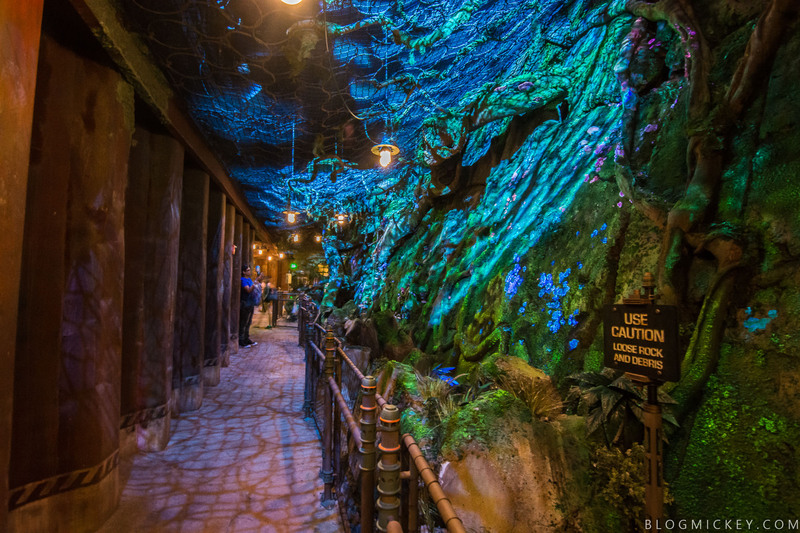 You’ll fly through parts of Pandora that we are yet to be introduced to in the film series, including a scene over water that will really get your heart racing! 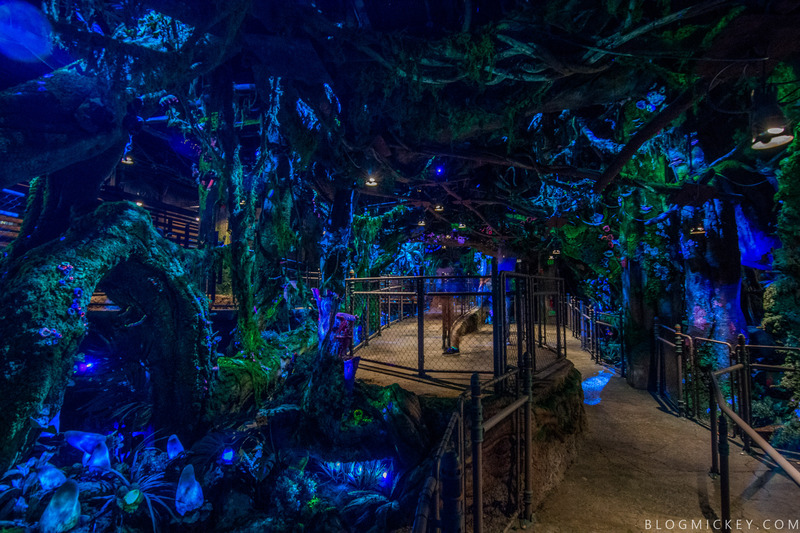 Your flight across the moon of Pandora is not only a ride for your eyes and ears, but also your sense of touch and smell. Mist from a waterfall can be felt as you fly a little too close and a variety of scents compliment the stunning scenery. You’ll even come face to face with the Great Leonopteryx, the only known creature to prey on the mountain banshee. 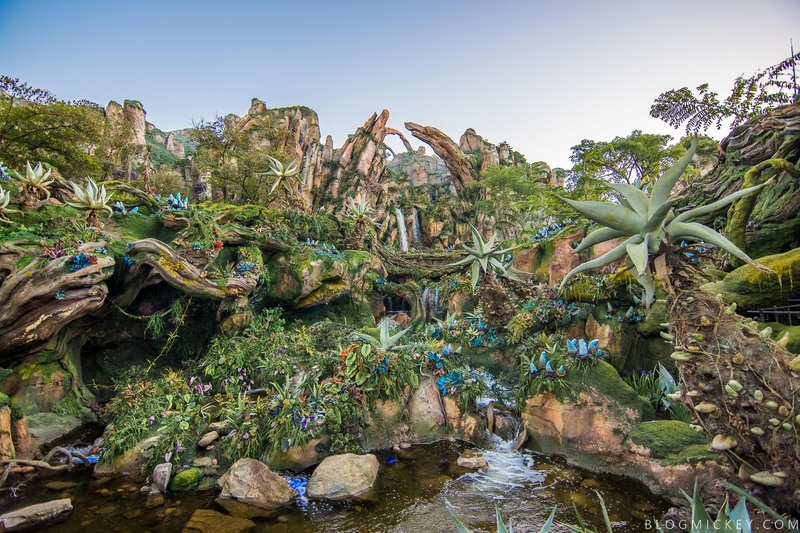 Your flight will conclude in an almost cinematic way as you successfully navigate the various terrains of Pandora to a beautiful overlook. From a technical standpoint, this ride is cutting edge. I know that we’ve used existing rides to try and compare the experience with, but there really is nothing else like this. The effects of dropping off of a cliff and banking around floating mountains is accomplished in two parts. The first is the actual theater itself. The floor that your row of link chairs sits on actually separates from the floor that you walk in on. While these are obviously level when you board, the separation in-flight allows for a vertical range of motion that is probably 5-8 feet. The second part is the actual link chair itself. It doesn’t move forward, backwards, up or down relative to the other chairs, but rather pitches forward and back to provide a convincing “falling forward” or “halting” feeling. Every motion of the theater and seat is meticulously and precisely timed, creating the most convincing motion I’ve ever experienced in a simulator-type ride. The 3D itself wasn’t overly “in your face”. There weren’t any “gimmicky” effects just for the sake of using 3D. As a matter of fact, it was so convincing, I barely even noticed it. The smells and mists were also wonderfully done. The smells in particular were done in such a subtle way that I actually missed some of them on the first ride through. Bioluminescent scenes are paired with a perfume smell of sorts, while a dive through the canopy of a forest are met with grass-type smells. There are also other smells associated with the ocean we encounter and a stampede we fly a little too close to. Flight of Passage is truly an enjoyable experience. I found myself grinning the entire ride and actually participating in the flight. It’s a convincing simulator ride that does just about everything right. I would absolutely love for the Imagineers to take a page out of Star Tours and create a variety of “flights” for us to go on. The queue experience is the best I’ve seen Imagineering do here at Walt Disney World and it will give you plenty to look at during the long waits that Flight of Passage will draw for a while to come.